GBPUSD extended its downside movement from 1.3298 to as low as 1.2396. Further decline is still possible after consolidation and next target would be at 1.2200 area. 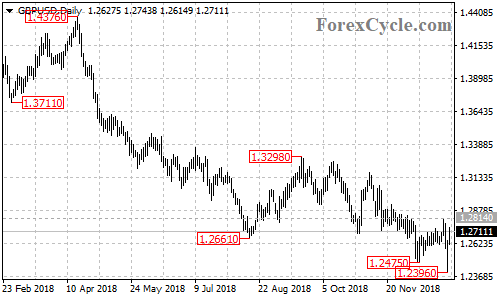 Key resistance is at 1.2814, above this level would indicate that the downside movement from 1.3298 had completed at 1.2396 already, then the following rally could take the price to 1.3100 area.